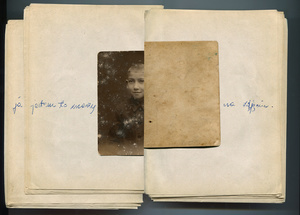 Photographs from family albums are a testimony to many stories – we watch family photographs and talk to family members to determine our own identity. 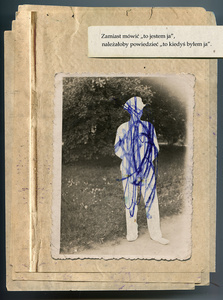 However, we must always take into consideration the memory factor, which, on one hand, is shaped by photographs and people, and on the other hand, affects the study in many ways. 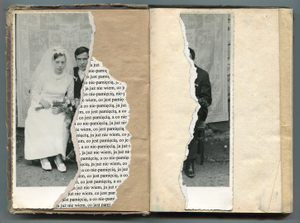 Confronting such an experiment with famous concepts of photography is an interesting experience. 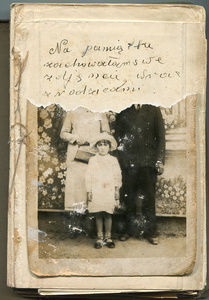 Is the reconstruction of our history based on watching family photographs and talking to family members workable at all? 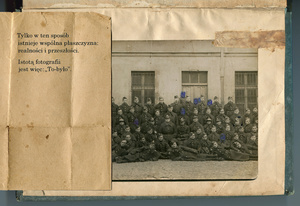 The artworks from the series are made up of the elements such as family photographs and comments coming from various sources. 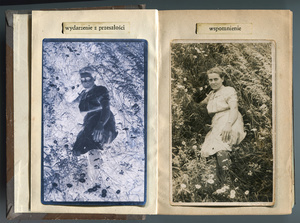 What is more, their use makes us reflect on generally prevalent concepts of photography and also on different than photographic ways of forwarding the history, i.e. writing and telling. 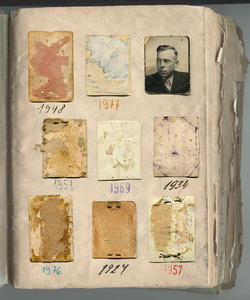 It is therefore a reflection on both transience and permanence of what is material and immaterial. 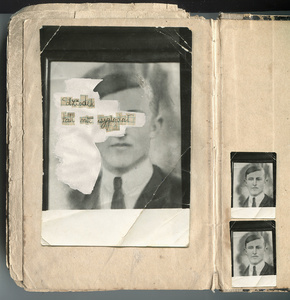 In this way, personal photographs and accompanying texts create at the same time a unique and universal message – does photography really perform these functions which we have always thought it does? 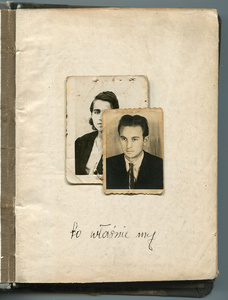 The presented practical work "Family stories" combines also with theoretical work „Photography and memory in the study of identity at the example of personal photographs from family albums”. 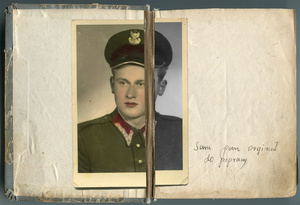 These are two parts of the whole project, which includes such elements as: several months of traveling around Poland, collecting and reproducing family photographs, exploring archives and preparing the family relations scheme, registration and interpretation of told and written family members’ transmissions. All that is just a signal of interest in the topic – this kind of study can last several years or even the whole life.